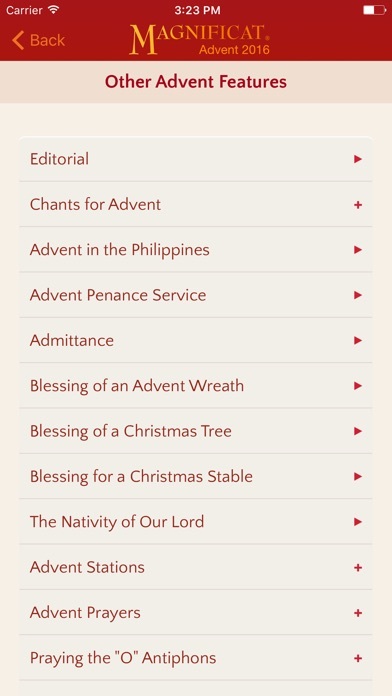 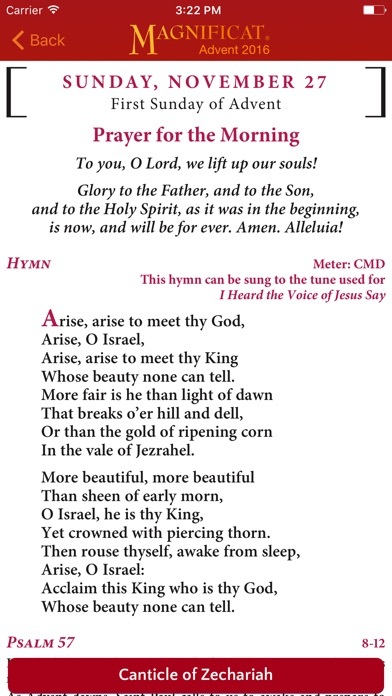 "Welcome to the Advent Companion App, a perfect way to live Advent to the full this year. 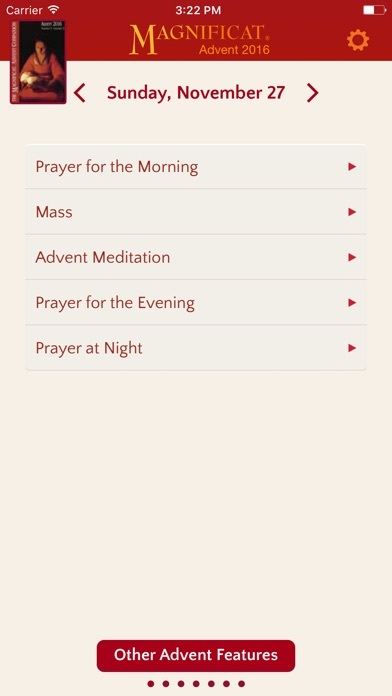 Please take a moment to rate us in the app store. 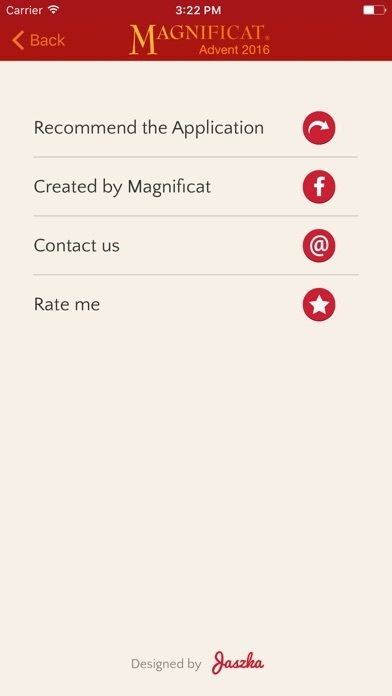 For bug reports or complaints, email app@magnificat.com as we can’t reply to comments on the store.